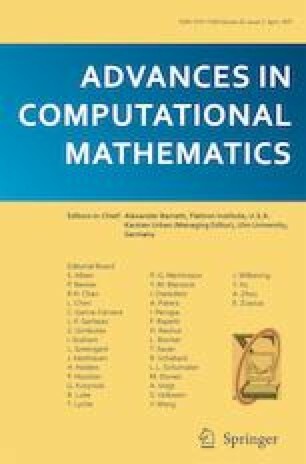 In this paper, we propose an accurate numerical means built upon a spectral-Galerkin method in spatial discretization and an enriched multi-step spectral-collocation approach in temporal direction, for the transverse magnetic mode of Maxwell equations in Cole-Cole dispersive media in two-dimensional setting. Our starting point is to derive a new model involving only one unknown field from the original model with three unknown fields: electric, magnetic fields, and the induced electric polarization (described by a global temporal convolution of the electric field). This results in a second-order integral-differential equation with a weakly singular integral kernel expressed by the Mittag-Lefler (ML) function. The most interesting but challenging issue resides in how to efficiently deal with the singularity in time induced by the ML function which is an infinite series of singular power functions with different nature. With this in mind, we introduce a spectral-Galerkin method using Fourier-like basis functions for spatial discretization, leading to a sequence of decoupled temporal integral-differential equations (IDE) with the same weakly singular kernel involving the ML function as the original two-dimensional problem. With a careful study of the regularity of IDE, we incorporate several leading singular terms into the numerical scheme and approximate much regular part of the solution. Then, we solve the IDE by a multi-step well-conditioned collocation scheme together with mapping technique to increase the accuracy and enhance the resolution. We show that such an enriched collocation method is convergent and accurate. The authors would like to thank both universities for hosting their mutual visits to complete this work. The research of author Can Huang is supported by the National Natural Science Foundation of China (no. 11401500, 91630204, 11771363). The research of author Li-Lian Wang is partially supported by Singapore MOE AcRF Tier 1 Grant (RG 15/12) and Singapore MOE AcRF Tier 2 Grants (MOE2017-T2-2-014 and MOE2018-T2-1-059).